Hello! Last week I hauled a big bundle of 20 indie polishes, which you can see (along with other nail mail, woops!) on Instagram here. 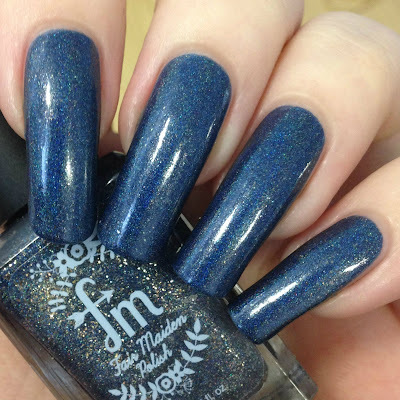 With the sudden disappearance of the sun and return of miserable rainy days, I thought I'd try out some of the darker shades I received - starting with Fair Maiden Polish 'Starry Night'. Read on for swatches and more info! 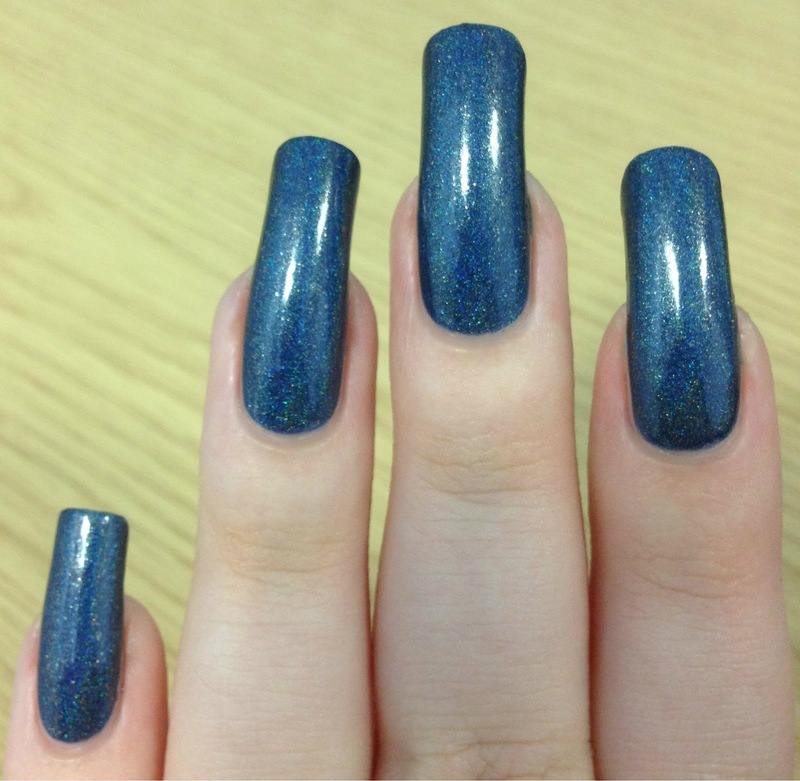 'Starry Night' is a deep navy holographic with golden flakes. It forms part of the 2015 Winter At Dusk collection. 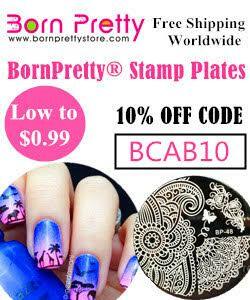 It has a lovely smooth formula and applies very easily. The first coat was a little bit patchy on my longer nails, but a second covered fully and deepened the colour. Below is two coats and topcoat. What do you think? I'm not normally a darker blue/navy person, but I can't deny that this is gorgeous. I'm glad I didn't wait for Winter to wear it as the holographic looks amazing when the sun peeks out. It looks exactly like the night sky - I think it would look gorgeous with some silver stars stamped on. This blue is lovely! Still a brand I need to try. One of my favourite Fair Maidens ever! I so want this colour! This is one I would ware so much! Fair Maiden makes gorgeous polishes! I love this shade on you!